From March 20 to 23 this year the world’s leading exhibition of traffic technology solutions “IntertrafficAmsterdam 2018” took place at RAI Amsterdam, gathering 900 exhibitors and more than 32 thousand visitors from 138 countries all over the world, allowing them to get to know and discuss last generation solutions for road infrastructure and management of traffic and parking spaces, as well as improving mobility and safety. In short, “Intertraffic” is for governmental institutions and representatives of the transport industry what the Academy Awards are for Hollywood actors, so we are very glad we had the chance to represent Latvia. Moreover, we were very honoured to hear the name dots. (previously known as SQUALIO cloud consulting) mentioned on the big stages of Intertraffic alongside our long-term partners Microsoft and Vitronic, while experience regarding the benefits of cloud-based services was shared and the audience was told about ways of introducing effective and financially viable road toll collection systems. Moreover, we are truly happy the story about speed enforcement cameras in Latvia captured the interest of the editors of Intertraffic World magazine and ended up published in its 2018 edition. "Thanks to the development of progressive technology, something that was earlier impossible to see for the human eye and which we could only achieve with months of hard work we can now do in a few days, even seconds: things like introducing and adapting solutions, and processing large amounts of data. Competitiveness is no longer measured by the size of a country, but instead by the quality of the solutions it can offer and by team competence. 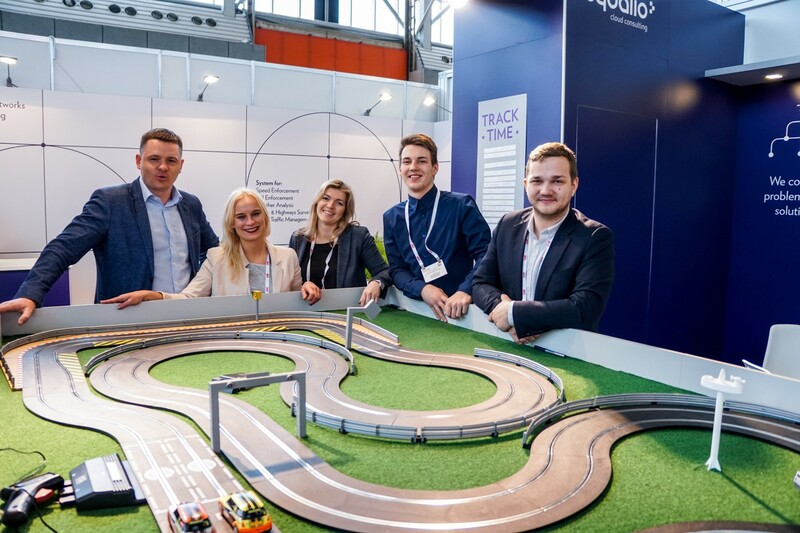 The results we see after taking part in the biggest transport technology exhibition prove that.” |Juris Vilders, chairman of the board of dots.